﻿ Facebook “Like A Page” as a Brand » Red Mango Marketing! 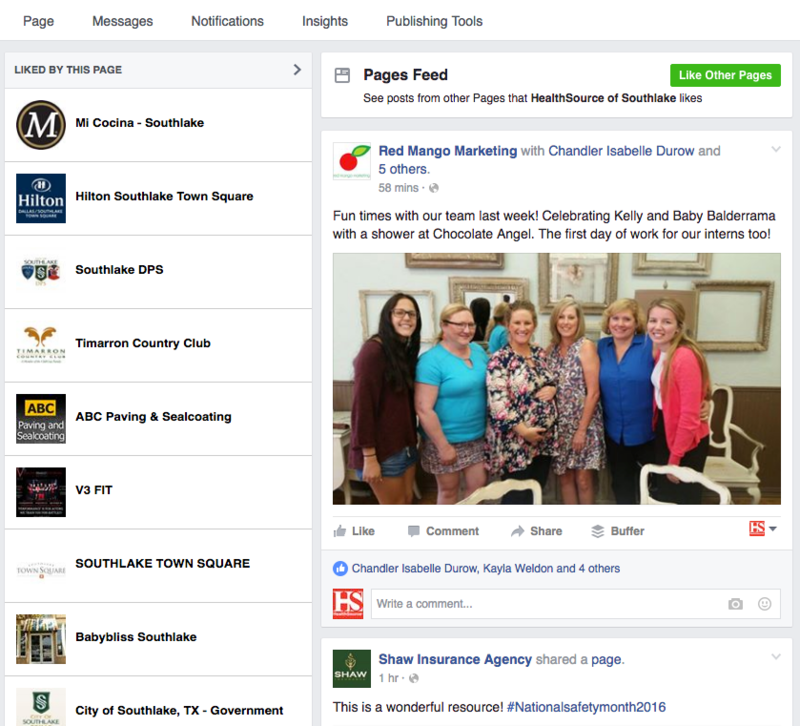 Did you know that you can also like other brands’ pages as your business page? This Facebook feature allows marketers to support their favorite brands from their business page. Why should you do this? To let your favorite brands know you are following them. You can “Like” their pages, and if you sell these products in your business, you can use their content as curated content! It allows you to share what they post to your business page. There are a couple of ways to like another brand from your business page. First, search for the page you want to “Like” and go to their timeline. Then, click the small gear icon (the three dots) on the right side of the Facebook page under their cover photo. Click the small gear icon and a drop down menu will pop up. Select the “Like As Your Page” option from the drop down. A dialog box will pop up. It will ask you which Page you want to like the page you’ve selected as. 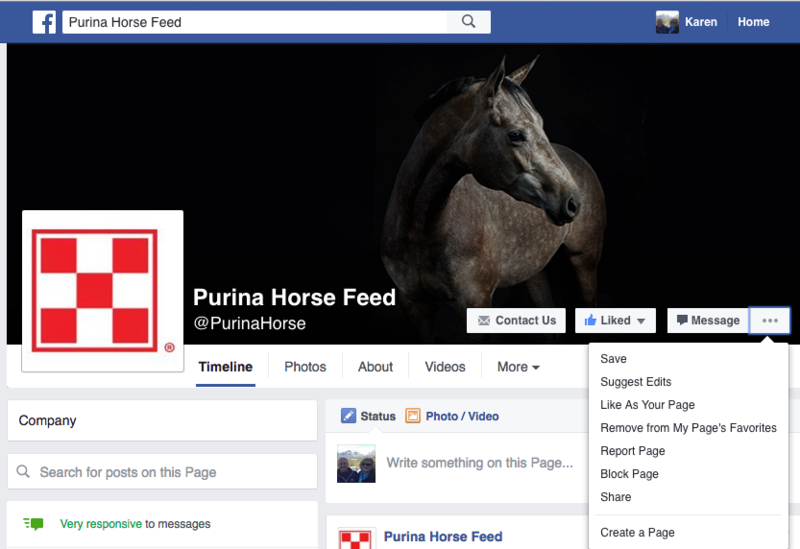 In this example, it’s asking us what page do we want to like Purina Horse Feed as. Click the drop down box next to “Select a Page”. You will see a listing of the page or pages you manage. Select a page. In the example below we’ve selected Foremans Inc. Hit Save. Foremans Inc. has now saved Purina Horse Feed as a page they like. You can also save it from your actual business page. We’ll show you how. First, go to your business page. 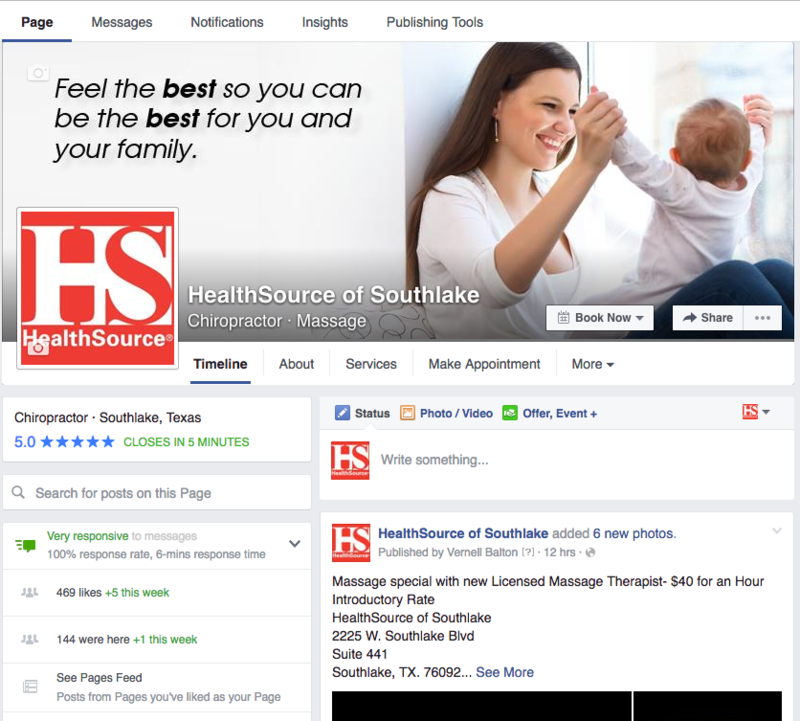 In this example, we are going to the business page of HealthSource of Southlake. Look on the left side of the page, under the cover photo, at the bottom of this example. You will see “See Pages Feed.” Click this. After you click the “See Pages Feed”, a window will pop up showing you all the pages you have “liked” as that page on the left side, and on the right you will see the “newsfeed” of those pages your Business page has liked. There you go! Two ways to like a page as a brand on Facebook. Have a question about this? Give us a call. This entry was posted on Friday, June 3rd, 2016 at 5:52 pm	and is filed under News & Updates. You can follow any responses to this entry through the RSS 2.0 feed. Both comments and pings are currently closed.